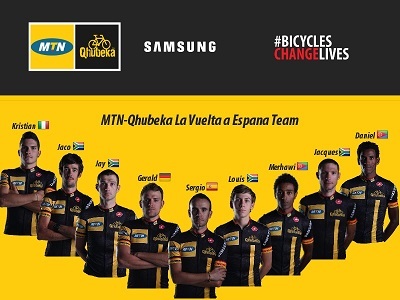 Team MTN-Qhubeka has announced the six African and three European riders that will make history and represent them at this year’s La Vuelta a Espana. “I must truly thank Unipublic for giving us this opportunity to participate in La Vuelta a Espana this year. It is fitting that Africa’s first ever team to race a Grand Tour starts the one Grand Tour that is closest to the African Continent,” says Team Principal Douglas Ryder.